The Domino 8 Maxi is designed in Italy. Customers looking for a particularly striking look in their kitchens can opt for what WITTUS designers tout as the romance of Italy. The company’s Atmosphera, Eco 90 & 80, Domino 8 Maxi (pictured, upper left) & 6 Maxi, and Domina wood cook stove ranges are contemporary appliances with old world flair. Designed in Italy by the de Manincor family, who has been making stoves since 1828. The products are reliable, durable, powerful, and safe—especially designed with the element of essential cooking in mind. The Happy Pizza Oven is environmentally friendly. efficiency and low greenhouse gas emissions. Capitalizing on the growing popularity of outdoor pizza cooking, the inside of the overall dome structure heats up and reflects on the internal cooking stone so that the oven heats up in just 8 to 10 minutes. The outside of the oven remains cool due to the natural rock lining that works as an insulator. 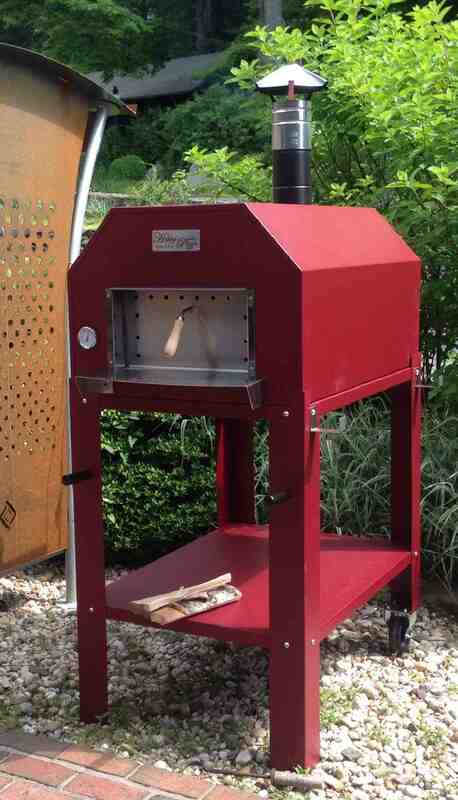 And this mobile pizza oven can easily be wheeled to an outdoor garden or kitchen area, or even placed indoors.